The Students Affecting Change Team wins the 2016-2017 UWB Outstanding Team of the Year Award! Hi everyone! A big thank you for your support in making finger puppets with Seattle Children's. We worked with people with disabilities to make several finger puppets, these will be donated to the children receiving care as a playful item after finger pokes. North Helpline Food Bank-300lbs donations! A big thank you to all who supported our winter food drive last quarter, we all effectively raised 300lbs of food to be donate to North Helpline Food bank in Everett! The Summer Medical and Dental Education Program is hosted at twelve participating AAMC member institutions around the nation. The program offers pre-medical and pre-dental students a variety of academic and career experiences that will support their dental and medical school career preparation. Two of our officers Erica Qiao, Director of Project Management and Jaymar Golveo, Director of Community Outreach participated in SMDEP at the University of Washington School of Medicine and Dentistry for six weeks. After shadowing healthcare professionals and speaking to medical and dental students for six weeks, Erica and Jaymar learned that mentorship comes a long way. This school year, they set a goal for themselves to mentor and spread the word about SMDEP. Erica invited UWSOM CEDI Program Director, Felicity Ana Abeyta-Hendrix and Jaymar invited SMDEP alumni speakers on campus to speak to students about their concerns about the application and experiences. Felicity Abeyta-Hendrix, UWSOM CEDI Program Coordinator, speaking to students. As a result, there were roughly about 15 students who came and were interested in applying to SMDEP. Overall, it was a successful event. It is essential that more students are aware of life changing opportunities like this. Granted, Erica and Jaymar want to spread the word about this program so others can experience the amount of growth and motivation that they experienced over the summer. As our own little institution, we must represent the talented, young, and brilliant minded individuals that we have at UWB, and we are able to do it through this program. Erica talking about her experience at a Migrant Camp, where she educated children about smoking and lung health. Each year, thousands of people need bone marrow transplants — a procedure which may be their only chance for survival. Although some patients with leukemia or other cancers have a genetically matched family member who can donate, about 70 percent do not. These patients' lives depend on finding an unrelated individual with a compatible human leukocyte antigen profile, often within their own ethnic group, who is willing to donate stem cells to them. A transplant is usually a patients’ last option, and finding a compatible donor can literally be the difference between life and death. 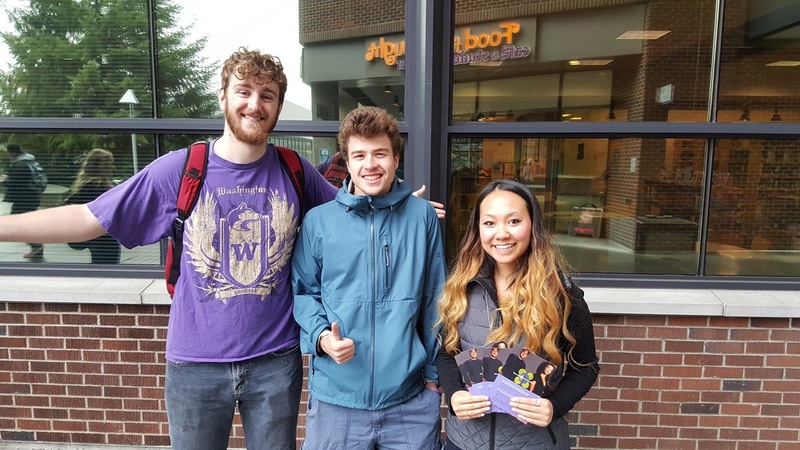 On October 28th 2015, Students Affecting Change hosted a bone marrow registration drive on the University of Washington Bothell Campus. This is something that would not have been possible if not for the vision and dedication of one particular UW Bothell student, Doug Woods. Doug, a former firefighter and current pre-medical student, came up with the idea for the drive in April and worked for six months to coordinate the event. He was motivated by the profound impact bone marrow transplants can have on the lives of others, and he was determined to do what he could to help. Doug planned the drive, scheduled training sessions, and led a team on the day of the drive. Many Students Affecting Change members also assisted in the planning and coordination of the drive. Ashley Mackinen was instrumental in clearing the many logistical hurdles needed to bring the drive to campus, as well as securing the necessary permissions, spaces, and equipment needed for both the training and the drive. Erica Qiao assisted Doug to help get the word about the drive and to recruit volunteers. Additionally, Muna Abushehada, Richard Chear, Charlie England, Seth Farb, Maryonnia Hanson, Tate Higgins, Saurav Kumar, Mengkhy Lay, Kathleen Luu, Van Nguyen, and Travis Ouelette all donated their time to the drive: teaching other students about the science and importance of bone marrow donation, assisting registrants with the necessary paperwork, collecting cheek swabs, and answering questions. This was a total team effort, with each member working together to ensure the drive's success. As a result of all of the volunteers' hard work and dedication, the event was an overwhelming success. 68 people signed up to become donors, including many from racial and ethnic heritages that are severely underrepresented in the bone marrow registry. The drive greatly exceeded all expectations, and the line of interested donors pushed well past the expected stop time. These results are a testament to all of the hard work put in by each student volunteer, who truly represented what it means to compassionately and selflessly serve. Considering that each potential donor will stay on the registry until they are 61 years old, what these student volunteers and donors were able to accomplish will continue make a difference for the next 40 years. Charlie England helping students join the registry. 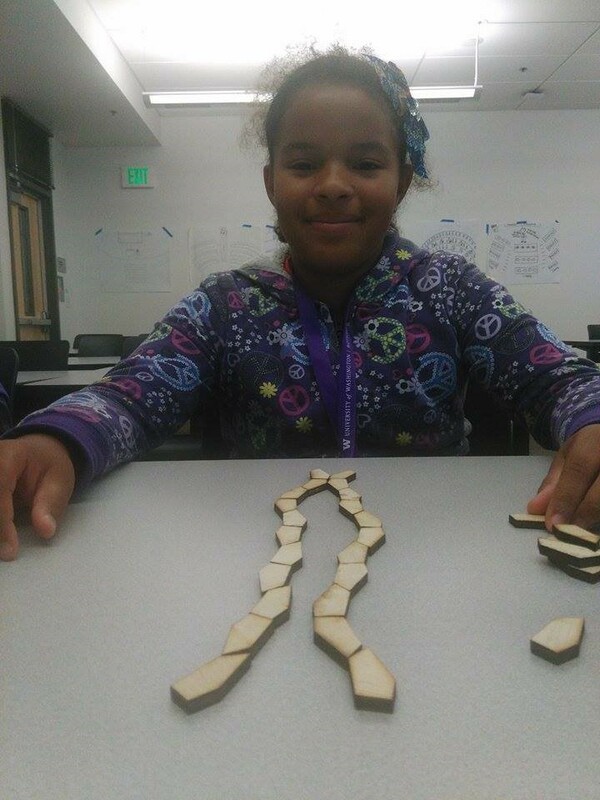 The Inspire STEM Festival is hosted by UW Bothell and sponsored by several partners that are dedicated to encouraging girls (and boys) to become interested in careers in science, technology, engineering, and mathematics. This year, over 700 students registered in the workshops with their curious minds! Students were able to attend the street fair, keynote speaker, lunch, and two STEM workshops of their choice. Students Affecting Change took part in helping students and their parents with several tasks to make the festival run smoothly. Our Director of Community Outreach, Jaymar Golveo and Noelle Ahn helped students and parents with registration. Erica Qiao, our Director of Project Management, checked in and directed students to STEM workshops. Club members, Gloria Ronaldo and Meerit Said, manned the check-in tables to make sure students picked up their packets and t-shirts. Jaymar, Noelle, Erica, Gloria, and Meerit dedicated their time to support the next generation of the STEM field and represented Students Affecting Change and UW Bothell.